South Africa's swimming team will face a tough challenge at the Aquatic Super Series in Perth later this month after Brazil and Japan were added to the program. National coach Graham Hill said the addition of these two countries would make for a tough challenge for South Africa's young team. South Africa sent a young squad to the inaugural series which was initially a tri-nation gala which included Australia and China. "It will be very competitive and in some events it is like the world champs line-up," Hill said. 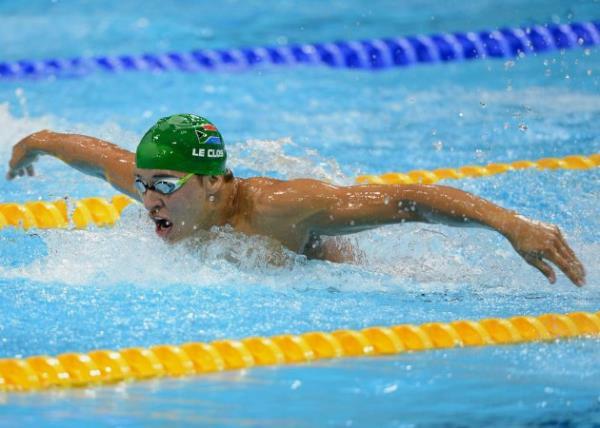 Olympic gold medallist Chad le Clos will face stiff competition at the gala on January 31 and February 1, where he will face Australia's Thomas Fraser-Holmes, 400m individual medley world champion Daiya Seto and teen sensation Kosuke Hagino of Japan. Hagino, the Olympic 400m IM silver medallist came within a second of breaking Ryan Lochte's world short-course record at a local meeting in Japan last week. While Le Clos has put the medleys on the back burner since the Olympics, he will place greater emphasis on these events this year. At the 2010 Commonwealth Games in Delhi, Le Clos won the 200m butterfly and the 400m individual medley, and collected silver in the 4x100m medley and two bronze medals in the 4x100m freestyle and 4x200m freestyle. A tussle with the two Japanese medley specialists would give Le Clos the perfect opportunity to gauge where he is in terms of these events. "He will likely come up against Daiya Seto and Hagino, who just missed the world record in the 400m medley just a week ago," Hill said. Le Clos will be targeting seven individual medals at the Commonwealth Games in Glasgow later this year in the 100m, 200m freestyle, 50m, 100, 200m butterfly and the 200m and 400m IM events. Distance swimmer Myles Brown will also be in for a tough challenge down under as he will line-up against some of the world's top athletes. The field could include 400m freestyle world champion Sun Yang of China, while world silver medallist Hagino will also be among his competitors. Sun is also the Olympic champion in the 400m and 1500m freestyle events. "That line-up for the 400m is deadly, it is one of the best line-ups you can ask for," Hill said. Swimming at his first world championships in Barcelona last year, Brown reached the 400m freestyle final finishing in sixth place. He later went on to break the Africa and South African records in the 400m and 1500m freestyle events at the opening leg of the Fina World Cup Series in Eindhoven, the Netherlands. Brown returned from the World Cup series with five gold medals, eight silver and five bronze medals. Hill said the decision to send a young team had already paid dividends with the likes of Brown and breaststroke prospect Jarred Crous coming through the ranks. The 17-year-old Crous claimed the South African 100m breaststroke title in the absence of Olympic gold medallist Cameron van der Burgh, while he beat 50m breaststroke world bronze medallist Giulio Zorzi to the wall at the national championships in Port Elizabeth. "The juniors must just go about their business and keep on improving, we made huge steps already with Jarred Crous, who is coming along quickly and very nicely," Hill said. The team received a late setback with Van der Burgh and Zorzi, who finished second in the men's 50m breaststroke at last year's Super Series , withdrawing from the team. Hill said the focus would nevertheless remain on bringing young talent through, while medals hopes would be pinned on the likes of Le Clos, Brown and South Africa's top women's swimmer Karin Prinsloo. "We hope to see a better performance this year but once again we are not looking for them to beat the big stars of world swimming," he said. "We'll leave that up to the likes of Chad le Clos, Myles Brown and Karin Prinsloo who have to match the big names. "It is a three-year period and we said when we picked the team last year. It was a very young team, a lot of those kids had survived and made the team again." He said the goal for the swimmers would be to get as close as possible to qualifying times for the Commonwealth Games. "So by the time April comes we know we are good to go and we'll make Commonwealth and we will be ready to attack titles."